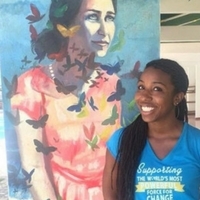 The Mariposa DR Foundation in the Dominican Republic works with girls from ages seven to 19 on a dual mission: to provide them with a holistic education and empower them to break the generational poverty cycle. I taught English to first through sixth graders at the Mariposa Center with the support of an InterExchange Christianson Grant. 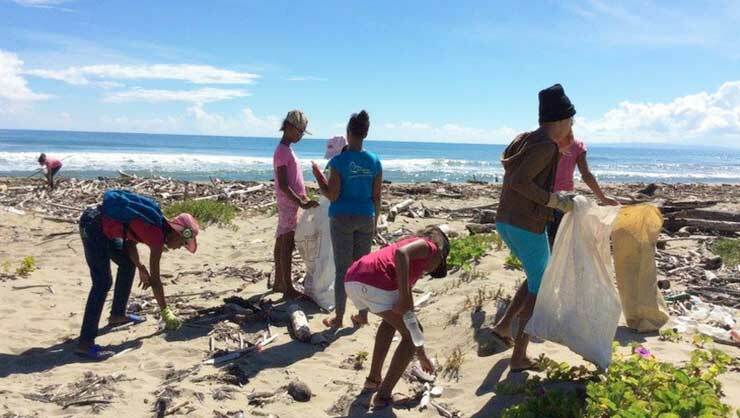 A beautiful day for a beach clean-up project! Though I primarily came to Mariposa to support the girls in their education and early career pursuits, I’m a big advocate of education outside of the classroom. As such, I was extremely excited when I was nominated to be the leader of a new service project initiative with the ninth and tenth graders attending the Mariposa Center. We felt we could better promote Mariposa’s goal for the girls to be empowered and vocal community advocates if they had a chance to learn about and support the work of local community organizations. This group of girls was at a crucial point where they clearly shined as leaders, but not always in a positive light. 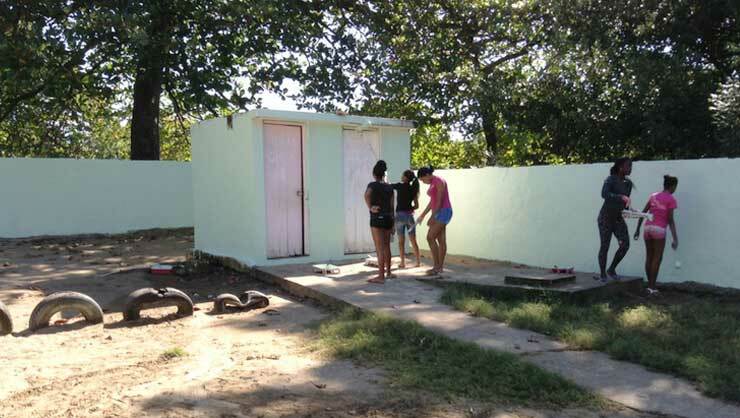 As much as possible, we wanted the girls to grow as positive influences in the Mariposa Center and throughout Cabarete. 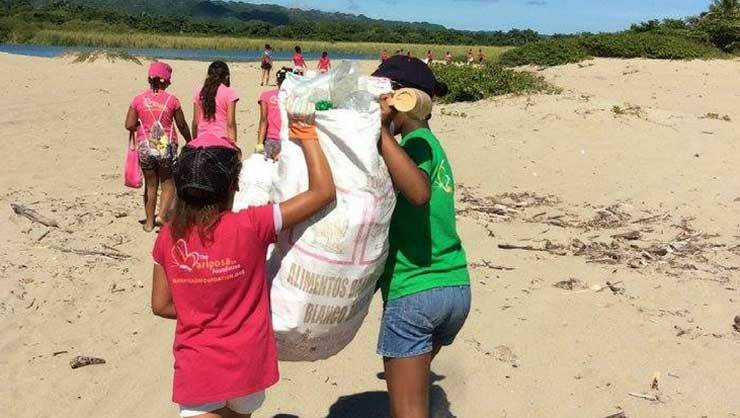 The Mariposa girls worked as a team to clean up their beach community. We completed several projects over the span of two months. 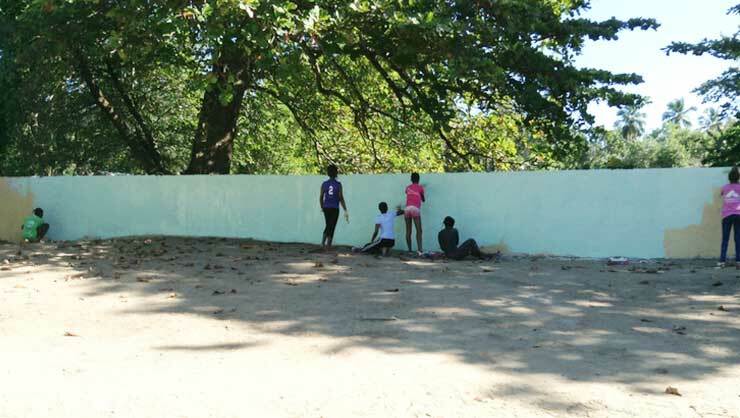 We started with a beautification project at a local one-room kindergarten through eighth-grade school that didn’t have the resources to fix their dilapidated outdoor play area. It's amazing what a new paint job can do! In a matter of hours, the girls transformed the space: painting, weeding, sweeping, and even organizing inside the classroom. I'm so proud of the hours of work the girls put in to cleaning this play area. One of my favorite projects was at the local Cabarete Caves in El Choco National Park. The organization discussed the importance of reforestation and local food production. Though the girls hear about this topic a million times in a million different ways at Mariposa, they were very engaged and surprised the organization leaders with their knowledge. 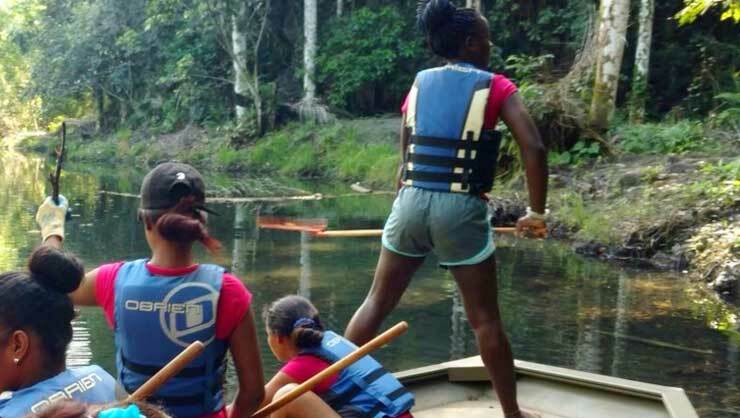 A fun rafting adventure in El Choco National Park. Afterwards, we planted uva de playa (sea grape) trees along the path to the caves and even though it was raining, all the girls ran out to plant with no complaints. I learned that some of them really enjoy gardening! My other favorite project was at an animal sanctuary where the girls brushed rescued horses, bathed puppies, and administered vaccinations. They were even allowed to ride the horses. It was a nice combination of work and fun. Two of the girls had never rode a horse before and were adamant about not trying; through some convincing, they decided to mount for a short ride. In less than 10 minutes, both girls came back beaming as if they had conquered the world, without a trace of the fear that previously gripped them. 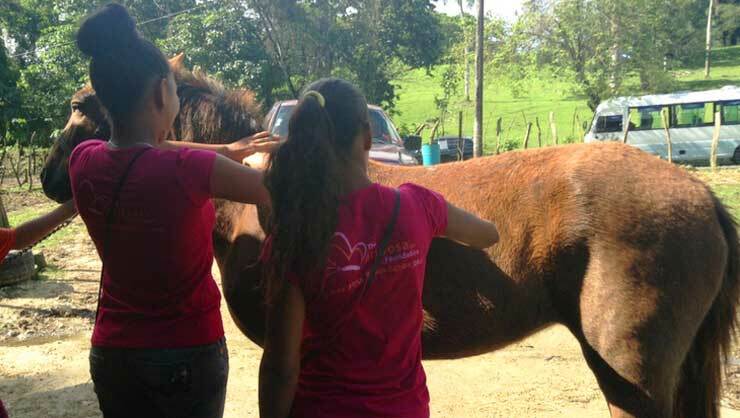 Most importantly, the girls learned why the animal sanctuary existed and how to take care of their own pets. Everyone loved helping out at the local animal sanctuary. I loved the opportunity to see another side of the girls and allow them to be in a position to care for others and their environment. It was a great reminder to myself and to the organization that there is no better way to create changemakers than by pointing them in the direction of where change is needed. Keara volunteered in the Dominican Republic with the help of a Christianson Grant, from the InterExchange Foundation.